Begin February by enjoying what all Atlanta has to offer culturally. Eat authentic Chinese cuisine at the Chinese New Year Festival or throw beads at the Mardi Gras Midtown Block Party. Explore the city by using our list of highly sought after events happening in Atlanta. When: Feb. 9 and 10, 10 a.m. to 4 p.m. 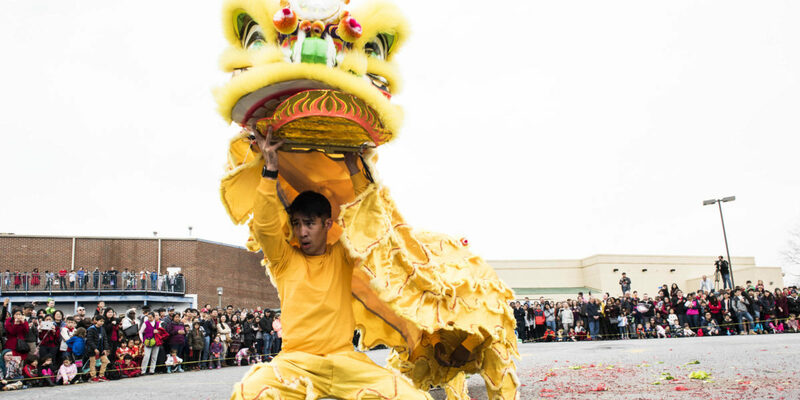 Celebrate Chinese New Year at this happening in Metro Atlanta’s Chinatown. The Atlanta Chinese Dance Company will be performing traditional dance moves and chefs will be serving authentic cuisine. When: Feb. 9, 11 a.m. to 7 p.m. Strange and peculiar offerings will be on sale at this market. The TV show Oddities is helping to run this event. Some of the vendors include Lovely Hoodoo, Odds End and Painted Lady Trashions. When: Feb. 9, 7 p.m. to 2 a.m.
Party like you’re in the Big Easy at this midtown Atlanta block party. The Carnival-themed event will include drink specials and New Orleans food deals. More than 20 clubs, restaurants and bars, including Tiki Tango and Ra Sushi, are on the party’s venue list. When: Feb. 10, 10:30 a.m. to 12 p.m.
Maggie Benoit is bringing a yoga series to the public through Atlanta Contemporary. This experimental yoga session infuses audio and visual art, such as film and music, with a yoga practice. Proceeds go to the artists who will be helping to put on this event. When: Feb. 9 and 10, 12:30 to 6:30 p.m. The Urban Tree Cidery is adding a second day to their Doughnut Dollies pop-up event. The cidery company and Doughnut Dollies are working together to give attendees two doughnut cider flights for the cost of one. Already, almost 2,000 Facebook users are interested in attending the event.